Manhasset High School boys varsity swimming team at the Nassau County Aquatic Center. 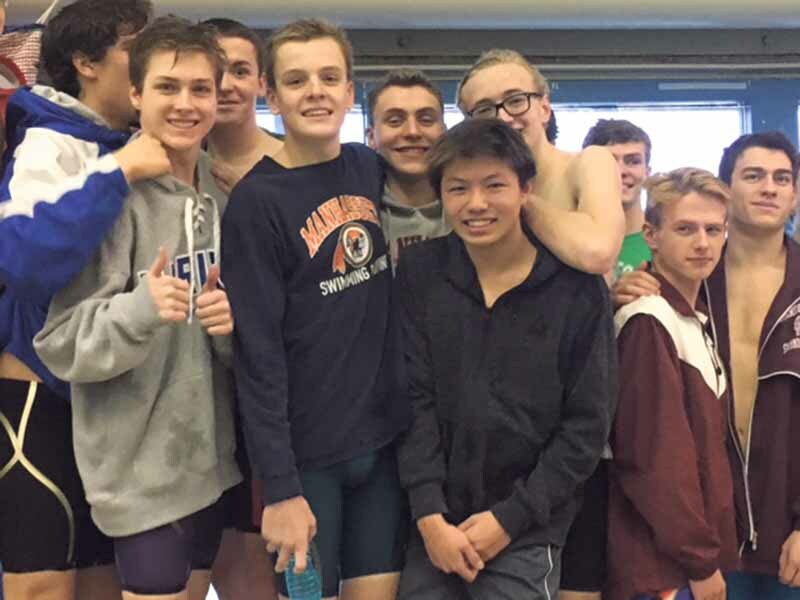 Coming off a milestone win over Garden City, the Manhasset boys swim team was confident heading into the postseason. How that confidence would carry over into performance would be determined in the next month of competition. 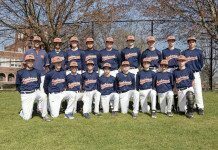 Starting with Divisions in early February and culminating with the New York State Championships the first weekend in March, the Manhasset Indians went on a historic postseason run that included eight new school records. To put that in perspective, there are 12 events in high school competition. 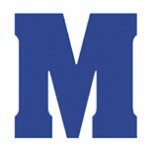 At Divisions, Manhasset senior Zach Leng broke two records, swimming a school record 21.49 in the 50-yard freestyle and a 47.39 in the 100-yard freestyle. The quartet of Leng, Luca Sodi, Thomas Broderick and Matt Kang set a new record in the 200-yard freestyle relay, posting a school best 1:32.52. A week later, the Manhasset Indians carried their momentum from Divisions into action at Nassau County finals. In the opening event, the 200-yard medley relay team of Broderick, AJ DePhillips, Leng and Sodi dropped four seconds to set a new school record and qualify for the NYS Championships. The last time the Manhasset boys qualified a relay for the NYS Championships was the 200-yard medley relay in 1997. In the third event of the day, Broderick, a junior, swam a new school record time of 1:58.66 in the 200-yard Individual Medley, qualifying for the NYS Championships. Broderick also qualified for the NYS Championships in the 100-yard backstroke, swimming a personal best 53.49. Leng set two additional school records, 52.18 in the 100-yard butterfly and 52.11 in the 100-yard backstroke, qualifying for the NYS Championships in both events. In the last event of the county championship, the 400-yard free relay team of Leng, Broderick, Sodi and Kang set a new school record, posting a record time of 3:21.41. Earning All-County honors are: Zach Leng, Thomas Broderick, Luca Sodi and AJ DePhillips. Earning All-Division honors are: Zach Leng, Thomas Broderick, Luca Sodi, Matt Kang and Peter Petrakis. 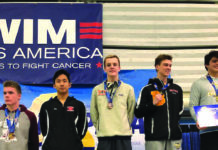 At States, Manhasset’s four qualifiers competed in the NYS Championships at the Nassau Aquatic Center. The 200-yard medley relay team improved their school record time by another half a second, posting a 1:39.63. The relay team of Broderick, DePhillips, Leng and Sodi entered the NYS meet seeded 46th and finished 18th in the NYS Public School Championship. In the 100-yard backstroke, Manhasset swimmers Leng and Broderick also qualified for Saturday’s State Finals. Leng finished 13th and Broderick 17th in the Public School Championship. Quite an incredible season for the boys breaking several school records post-season.